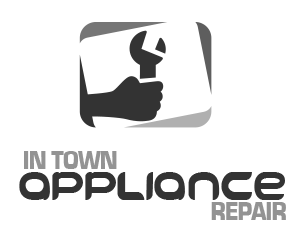 Our experts are at your service for refrigerator repair in Gloucester, Ontario. All you have to do is call our number and one of our techs will help you out in a timely fashion. When fridges cause trouble, we rush to assist our customers. You can depend on our quick but also efficient service. The pros here at our Appliance Repair in Gloucester are familiar with all fridge brands and the most innovative models. We are trained accordingly and carry the spares to replace the damaged fridge parts in one go. Call us to service your fridge today. Why do you need the help of our refrigerator repair technicians? Refrigerator parts wear over time. Built in debris can also affect proper refrigeration. The slightest problem with the door gasket will keep the fridge from shutting air tight. This will compromise food preservation and be one of the reasons why you pay high energy bills. With the help of our refrigerator technician, all these problems can be fixed. Or even prevented. 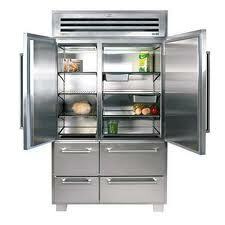 We offer quick response refrigerator repair to take care of trouble. Is your refrigerator not refrigerating right or closing well? Does it make loud noises? Our expert will diagnose and fix the fridge problem in a timely manner. We keep all necessary spares with us and replace your fridge’s worn parts right away. But our fridge technician can also maintain your appliance. What’s best than preventing problems? Fridges work hard and deserve good care annually. We provide maintenance to inspect and service the parts, make adjustments, level its legs, and make sure it functions well. Call us if you need Gloucester refrigerator repair or maintenance! You can send our company a message with your request or call to talk directly with our staff.